Discussion in 'Collecting' started by Buzz Bumble, Nov 15, 2017. 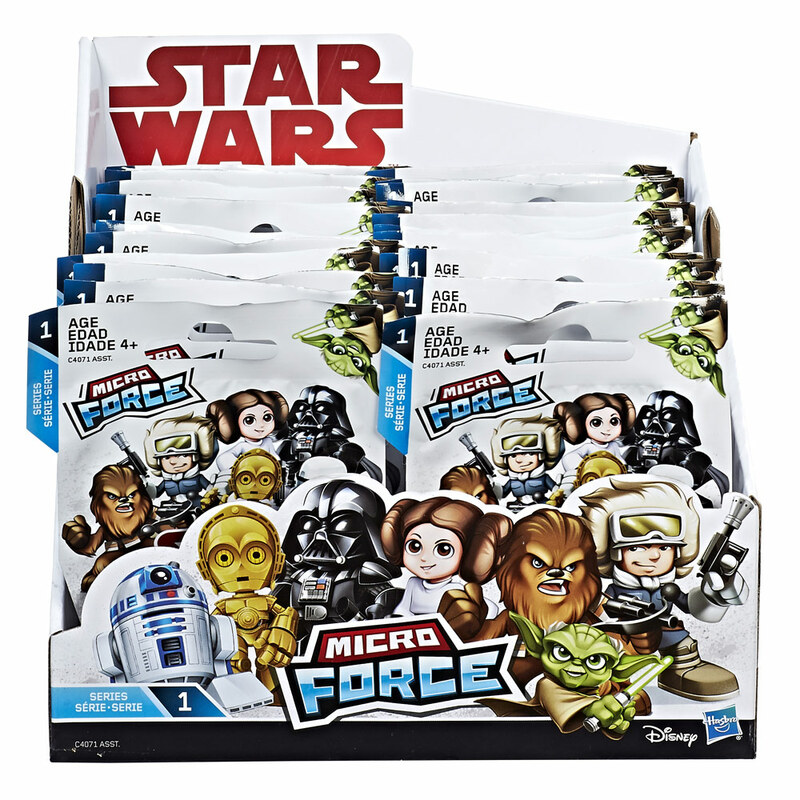 Jumping on the "reboot" bandwagon, Hasbro is releasing Micro Force figures, which are really just a continuation of the tiny Fighter Pod figures ... some of them even look like they're exactly the same figures! 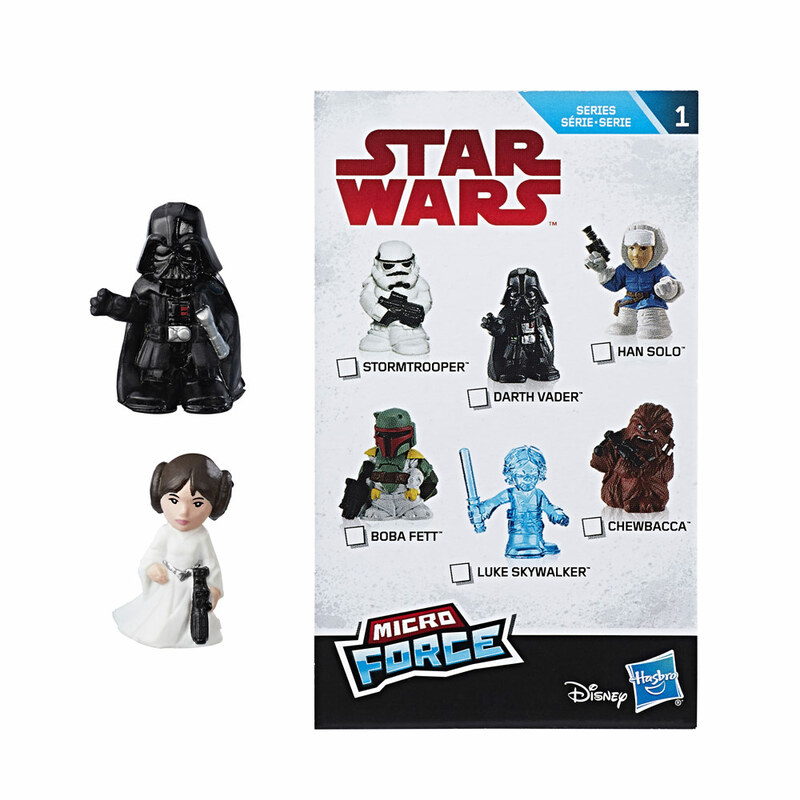 Annoyingly these new figures will be released as silly blind bags, making it difficult and/or expensive to get a whole set. Han Solo, Stormtrooper, Ahsoka Tano, Darth Vader, R2-D2, Luke Skywalker, Boba Fett, Wicket, Princess Leia, C-3PO, Chewbacca, and Yoda. Obi-Wan Kenobi, Jyn Erso, Rey, Finn, BB-8, Yoda, Captain Phasma, Darth Maul, Death Trooper, TIE Fighter Pilot, the Emperor, and Kylo Ren.